Preparing for your trip to Italy? Read on for tips on how to make your time at the airport go by as fast and smooth as possible, so you can spend more time exploring Italy! Items such as nail clippers, tweezers, and scissors are not allowed in your carry-on bag, so make sure that you take care of things like clipping your nails before your trip, because these items will have to go into your checked in luggages. Lighters and matches are also not allowed through security; you’d have to throw them away, keep it at home, or put it into your checked luggage. Empty your pockets prior to passing through airport security to avoid losing any change or small items, since you will have to put any contents of your pockets into a bin that gets x-rayed. 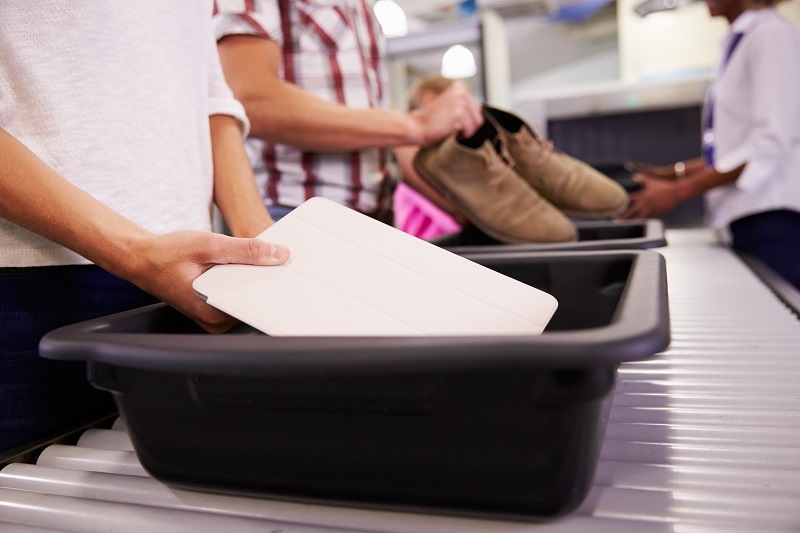 If you’re not traveling in the winter or the rain, you can wear flip-flops or sandals to avoid having to take off shoes and socks when going through security. Be aware that due to anti-terror legislation, bottles filled with water or large containers of liquid aren’t allowed through security. The liquids rule for carry-ons is you can’t bring bottles bigger than 3.4 ounces (100 mL), with exceptions of medications and child nourishment. In most cases you can empty your water bottle beforehand and refill it from a drinking fountain once you are past security. Bring snacks, batteries and reading material with you. Everything is way more expensive at the airport and you don’t want to waste your trip money before you even get to Italy. It’s highly recommended to drink a lot of water before a flight. Flying can dehydrate you, which can cause headaches. Also, it helps to avoid salty snacks and food before and during your flight. Avoid greasy and cafeteria-style or pre-packaged airport food. Some ingredients in mass-produced food can cause stomach upset, which would make for a very uncomfortable flight. Some recommended foods are fresh fruit like grapes, bananas and apples, a pre-made sandwich (no tuna or anything smelly that your plane neighbours may not appreciate that), and light snacks like dried fruit, nuts or wheat crackers.